This chapter is an argument for the incorporation of synaesthetic effects into a creative translational practice designed to capture the reader’s experience of text rather than to transmit the text’s meaning. 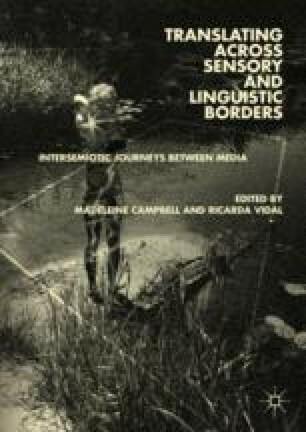 The case for synaesthesia, in this view of translation as an expanding sensory field, is made by setting it against Roman Jakobson’s translational category of ‘intersemiosis’, the translation of literature by another art, or the translation of verbal signs by non-verbal sign systems. A critique of the assumptions which underlie Jakobson’s semiotic approach prefaces an exploration of current neuroscientific researches into synaesthesia, and a ‘defence’ of its non-clinical forms, particularly as they might be seen to develop out of the thinking of the Symbolists and Futurists.